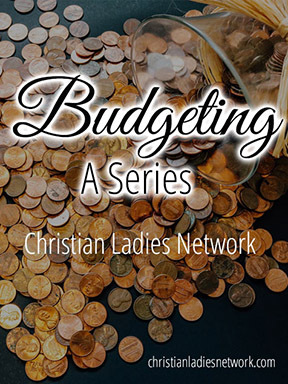 Christian Ladies Network : Who Are We Following? I love that Facebook gives us memories from previous years. Sometimes these memories take us back to difficult times, but can also make us thankful for where we are today. Six years ago, I shared this. I keep thinking of the saying,"If you can't say something nice, don't say anything at all," and frankly, I haven't had much 'nice' to say. But it occurred to me yesterday that there are times when some not so nice things need to be said. I have so many things on my heart, but I'm going to try to keep this as short as possible, and I pray that God will give me the right words....words that are meant to help, not to hurt. In the past few years I've seen and heard of some terrible things happening in churches and in the lives of people I care about....things that shouldn't happen in the church; things we don't expect to happen in Christian families...sins committed by church going people and sins committed by pastors and missionaries....all of which result in broken people, broken families, broken churches, and worst of all they cause our faith to be mocked. I won't go into the details, but suffice it to say, these things ought not so to be. In the aftermath of these situations, people are leaving churches....and why should this surprise anyone? What is really sad is what is happening to some of these people beyond the doors of the church. While some of these situations are indeed horrendous, and it's understandable that people are hurt and even bitter, nothing should ever cause us to turn our backs on God or to lose our faith. 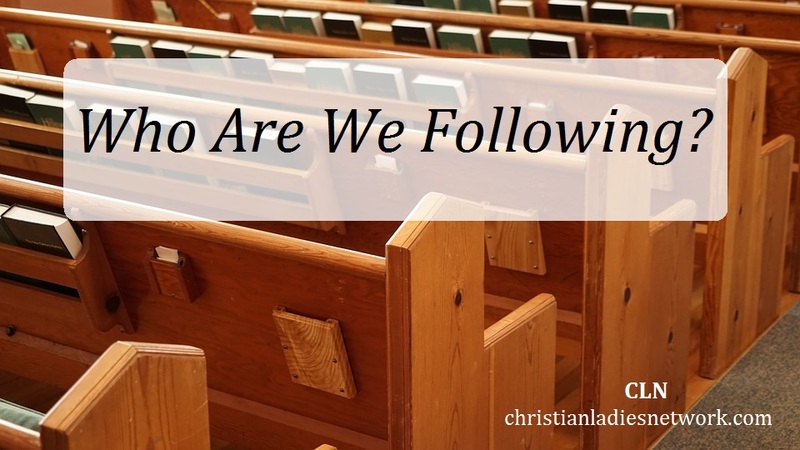 Question the church's teachings or practice? Absolutely! 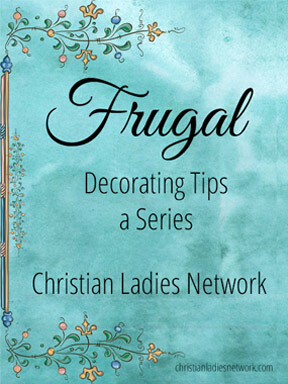 Find a better way to live out the Christian life? Go for it! But turn to the world and dabble in sin? (or dive headlong into sin?!) Don't be a fool! 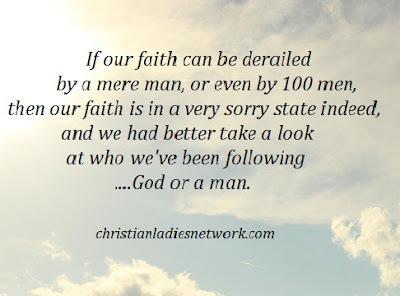 If our faith can be derailed by a mere man, or even by 100 men, then our faith is in a very sorry state indeed, and we had better take a look at who we've been following....God or a man. A friend who has gone through his own difficult church situation gives this warning, "Don't throw the baby out with the bath water. Abhor that which is evil; cleave to that which is good. Romans 12:9"
For the sake of our children and grandchildren, we MUST keep the faith, we MUST stand for the truth, we MUST be a testimony to those who are watching! 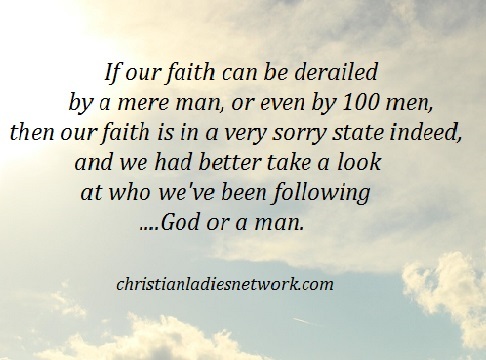 What hope is there in this world if we who call ourselves Christians fall by the wayside? 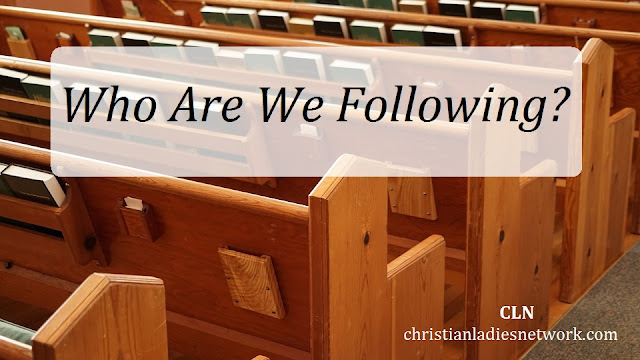 What about God's grace? Is HE not sufficient to bring us through each and every trial we face?